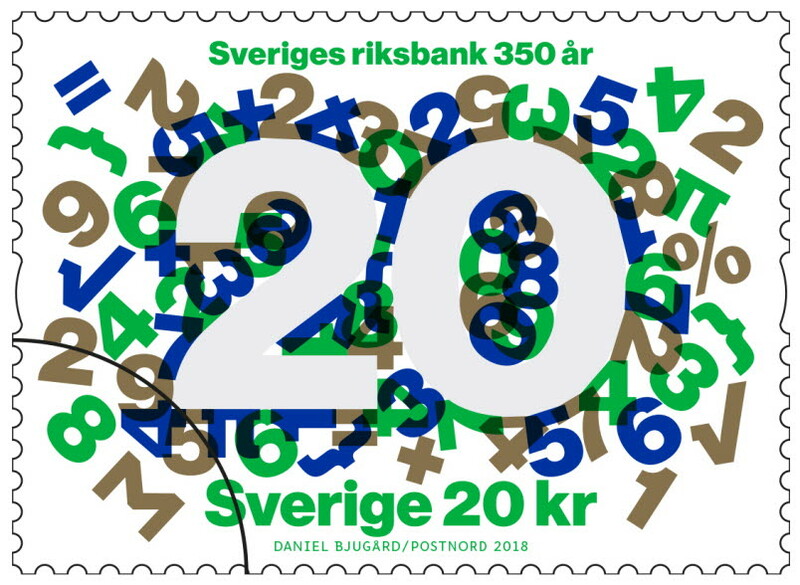 PostNord issued two new stamps in 2018 to commemorate the 350th anniversary of Sveriges Riksbank. 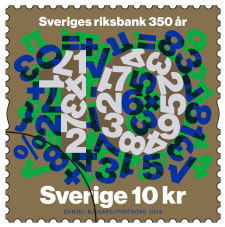 The motif on the stamps is a graphic pattern of figures and mathematical symbols that are an artistic representation of the tools used by economists to make forecasts and highlight how, for centuries, the Riksbank has contributed to a strong and secure economy in Sweden. The stamps were issued in the values of SEK 10 and SEK 20, i.e. two additional values (not the normal letter rate within Sweden). The stamps have been designed by Daniel Bjugård.